We moved into our home a little less than a year ago. We had an extra room, we designated it the office/homework room. It ended up just being the place the kids would leave everything. It drove me BONKERS! 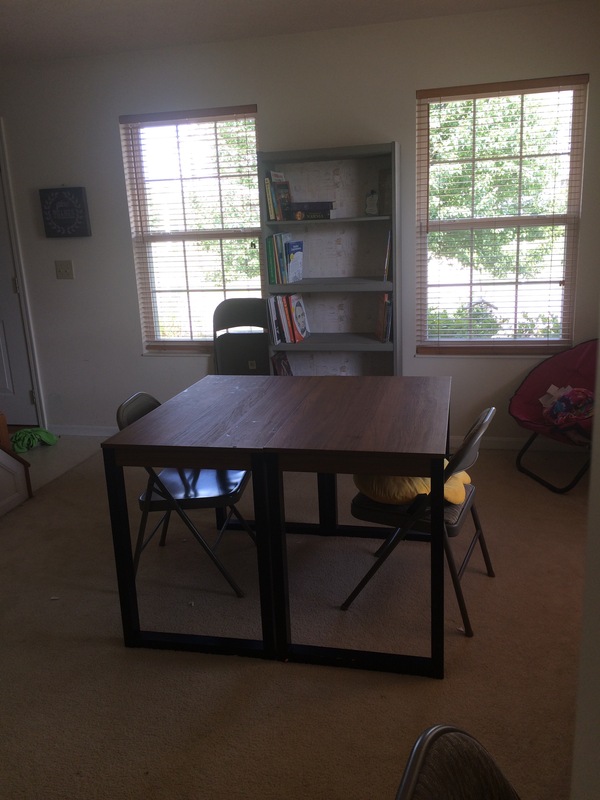 That room is now our homeschool room. 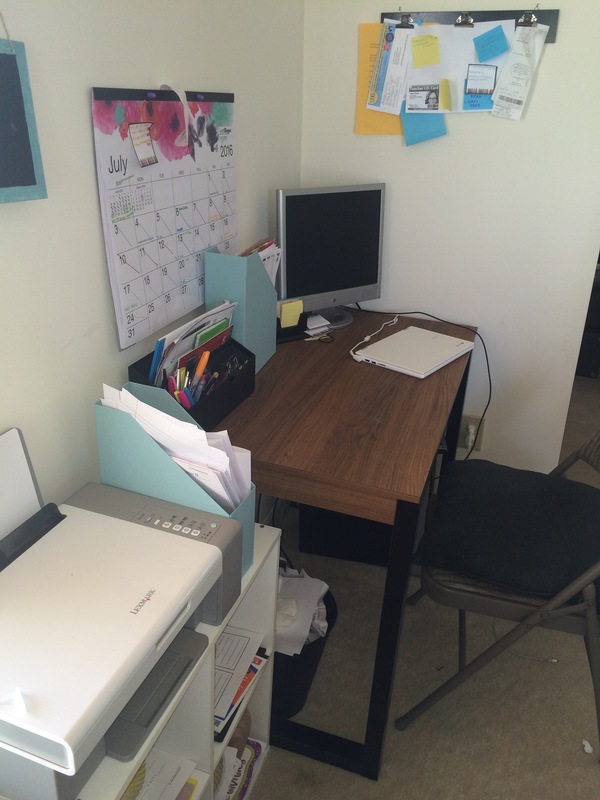 Everything in it is repurposed, except for the three desks. My hubs picked them up last year at target for $30 (for all three of them)!! We had the dresser and book shelf. They were in desperate need of new life! 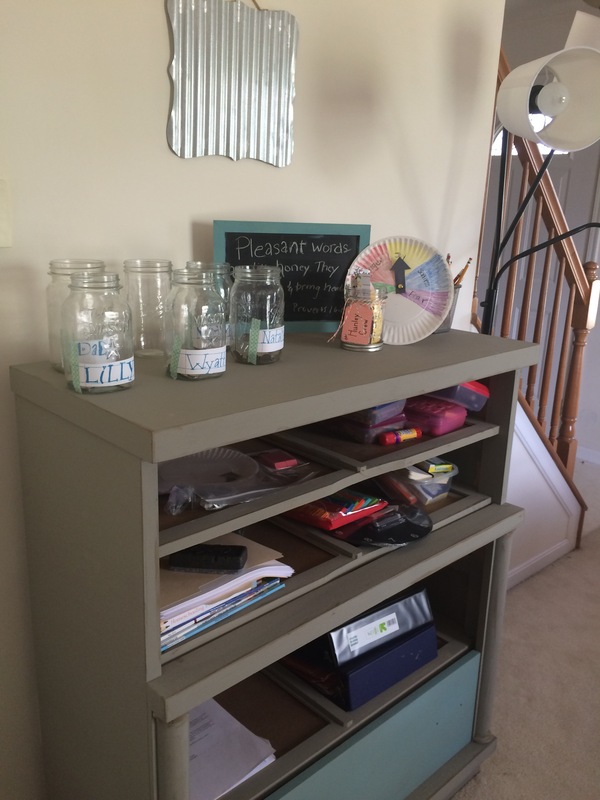 We painted them with chalk paint and added the decorative paper to the back of the bookshelf. We spent less that $20 (thank you JoAnn fabrics for the awesome sale and coupons)! We are searching for drawer pulls and baskets for the dresser. We still have a few things we want accomplish in pulling our room together, but it’s ready for school to begin! What are some of your go to room organizational tips? Oh how I miss having a dedicated school room! I love that big table in the middle of the room. My favorite organization/storage solutions are magazine holders. I see you have some already. I keep all kinds or stuff in them. Also clear plastic bins with kids are great. Thank you, Camie! Thank you for stopping by! You’re too kind! I’ll be sure to check yours out soon.